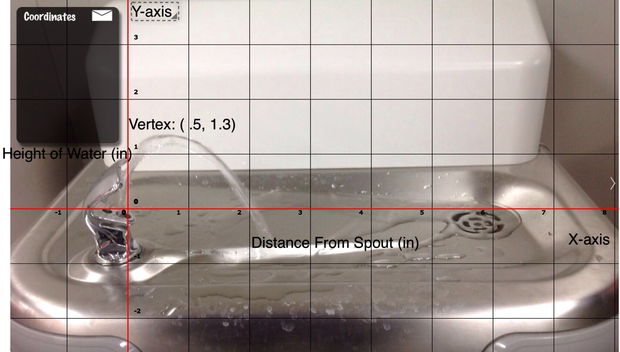 1) What Does the height of the water leaving the spout represent? This represents the y-coordinate. in this case it would be 1.2 inches. 2) At the spot where the water hits the tray, what is the relevance to this question? The relevance to this question is that the spot where the water hits the tray represents the root on the graph. In the case that root would be (2,0). 3) What is the maximum height of the water? The maximum height of the water is 1.3 Inches. 4) How far away from the spout is the water when it reaches the maximum height. It is .5 inches away from the spout. 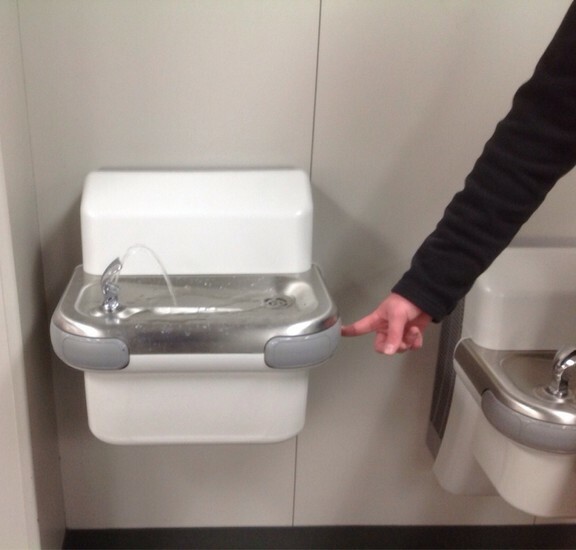 5) What is the domain related to the distance the water is from the spout? The domain is all possible x values. It is related to all the possible values for the distance from the spout. 6) What is the range related to the height of the water? The range is all the possible Y values. It is related to all the possible values for the height of the water.